The inaugural episode of Cast 'em Off Radio – Fringe Files features the man who wrote the books The New World Order, The Unseen Hand, and Masonry: Conspiracy Against Christianity. Ralph Epperson has been researching the conspiratorial view of history for many years and he brings his expertise to this episode to make the case that the United States Constitution has been nullified by a nefarious group of people looking to usher America into global governance under a new world order. Be ... See More sure to give us a rating and a review on Stitcher, iTunes, and Spreaker. 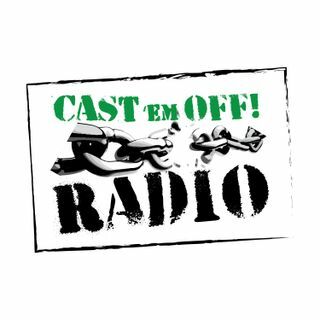 Check us out on the web at www.castemoffradio.com and email questions to castemoffradio@gmail.com.